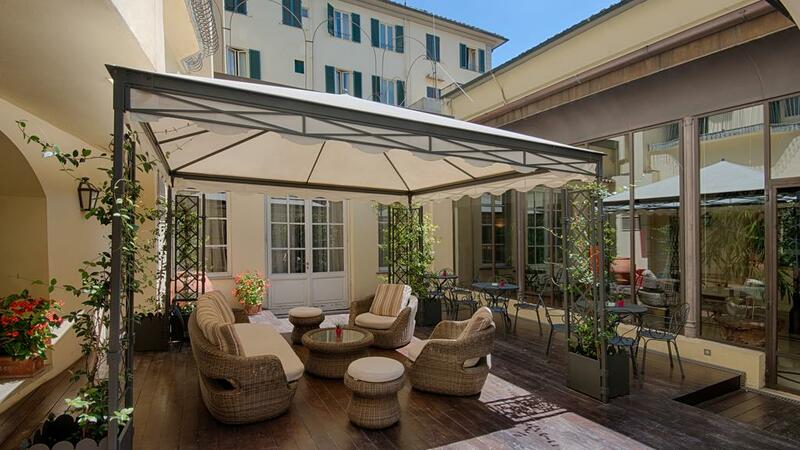 02 nights accommodation in Florence. 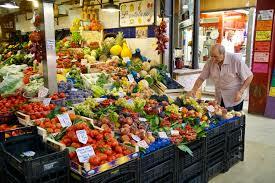 Murano, Burano and Torcello Half Day Sightseeing Tour. 2 Days Hop-On Hop-Off Tour. Ancient Rome Tour - Colosseum, Roman Forum & Palatine Hill. Venice to Florence 2nd Class Eurail Ticket. Florence to Rome 2nd Class Eurail Ticket. Explore the famous islands of the Venice lagoon - Murano, Burano and Torcello - on a half-day excursion. You'll see a glass-blowing display on Murano, shop for lace on Burano and visit Venice's first church on the tranquil island of Torcello. 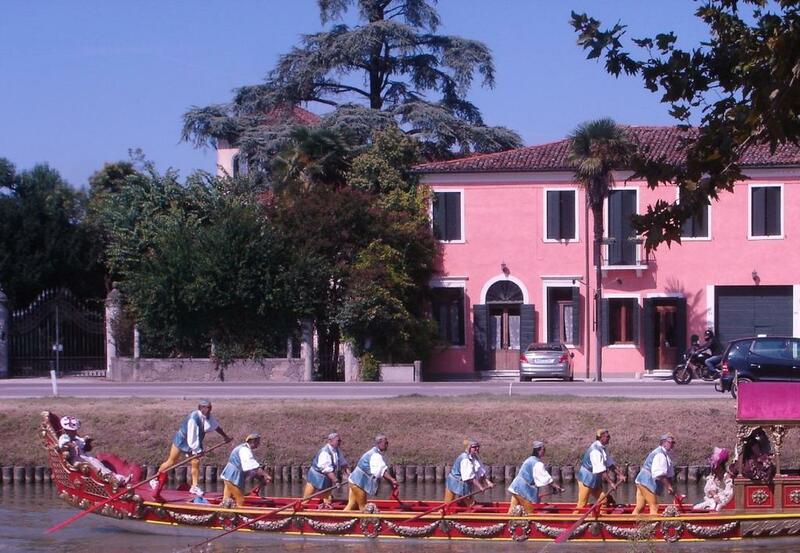 This morning or afternoon tour is a great introduction to the magical islands of the Venetian lagoon. Boarding a comfortable motor boat, you'll speed along the Venetian lagoon to Murano, famous for its glassware. During the visit you'll explore shops, factories and watch the skilled glass-blowers as they create works of art. You'll also have time to visit a museum showcasing the world-famous Murano glass. Re-board your motor boat you'll journey to the island of Burano to admire picturesque fishermen's houses painted in bright pastel colors, and, of course, the famous lace. You can visit a museum dedicated to the craft of lace, and purchase the beautiful lace at local shops. The last island stop is Torcello, the earliest center of civilization in the Venetian lagoon. You'll see the cathedral of Santa Maria Assunta, founded in the 7th century, and the excavated remains of the circular baptistery in the church of Santa Fosca. Even though there are about 97 other cities or towns named Venice in the world, our Venezia is and will always be a unique city! It has been built on an archipelago of 118 small islands in 800 AC, Venice today is an extraordinary mixture of artistic and cultural influences which reach the city by land and most of all by sea. 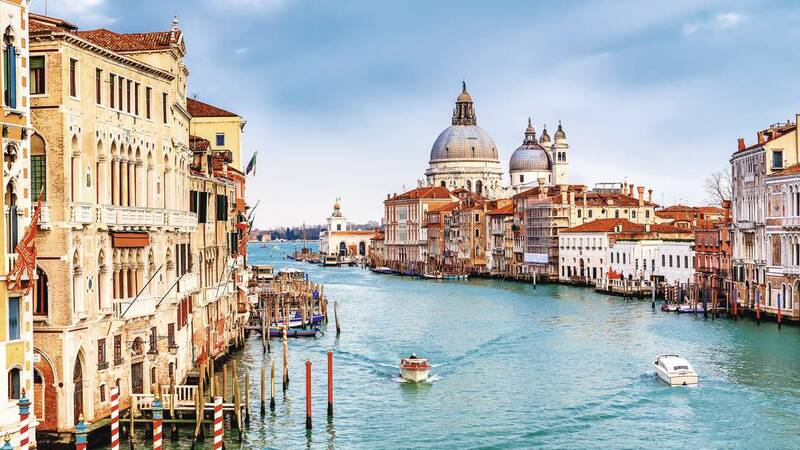 This particular city is crossed by 150 canals and connected by over 400 bridges, for this reason it can only be visited on foot or by boat. Without any doubt, admiring the beautiful city of Venezia from the sea is a unique emotion and our red boats will accompany you around the Laguna of Venice. The typical Hop On Hop service will allow you to get on and off from the boat at any stop, that way have the maximum liberty to visit the major sights and attractions. From Piazza San Marco to Ponte dei Sospiri, from the beaches of Lido to the Island of Murano, City Sightseeing will take you on a trip through history, culture and tradition in the most romantic city in the world, so all you have to do is take a seat and admire your surroundings. When romanticism and love are running through your veins and you cannot wait to see your sweetheart blinded by passion, here is your chance to show your fiancee that you really care. A marvelous and enchanting gondola ride through the canals of Venice will let you discover the city from a different point of view. You will breath the atmosphere of the most ancient city in the world built on water. 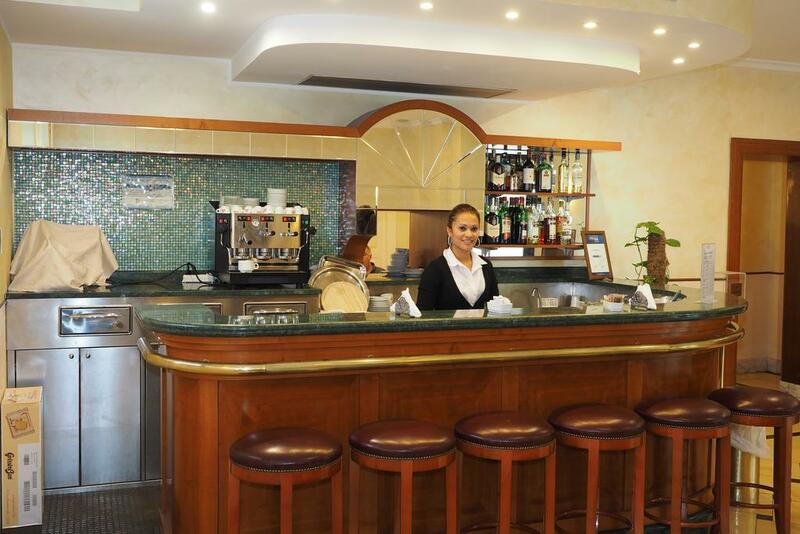 You will be in heaven when you will be served a romantic lunch or dinner in a lovely Venetian restaurant. 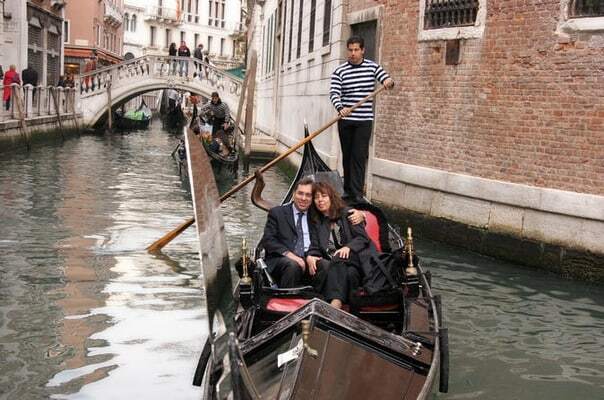 During your pleasant ride, you will admire Desdemona's House and Mozart's House passing by the worldwide famous La Fenice Theatre proceeding along the Rio (Canal) De le Ostreghe leading into the most charming part of the Grand Canal, where you will admire the Peggy Guggenheim Collection. 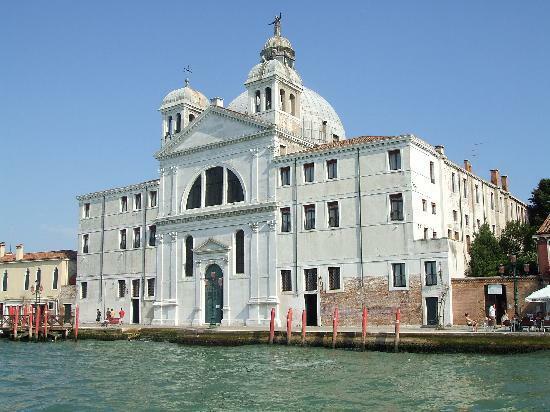 When you reach the Salute Church and Punta della Dogana you will enjoy a quick unique breathtaking view of S. Giorgio's Island, Saint Mark's with its Belltower and Doge's Palace. Menu at Marco Polo Restaurant is 3 courses with side dish and dessert; drinks not included and the choice of courses is not replaceable. Not acceptable special request such as candlelight, special cakes, wine etc.. Menu at Ai Coristi Restaurant is 2 courses with side dish, 1 bottle of water 75cl every 2 people included. For vegetarians or people with food intolerance or with diet special requirements, a specific request must be made upon reservation. 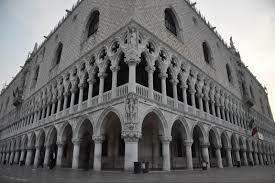 Enjoy an in-depth tour of the most important Palace in Venice, the Doge's Palace, with Skip-the-Line access. Hear tales of the infamous Council of Ten who used extreme measures to mantain order in the city. As you tour the Palace admire its richly decorated rooms with paintings and frescos by the most important Venetian painters. Walk across the Bridge of Sighs, so-called by Lord Byron, that connects the Doges Palace to its notorious prisons by delicate bridges, awaits you. After a walk of about two hours, you will have free time at disposal for lunch (not included) and to relax before starting the second half of the tour (2 hour walking tour) which will focus on St.Mark's Basilica, followed by a walk through areas of the enchanting hidden Venice (meeting point and time as listed on the Please Note section). Enjoy an in-depth tour of St.Mark's Basilica, to admire the astonishing interior covered in rich and lavish mosaics, the precious Pala D'Oro and lean about the strong Byzantine influences on the city. 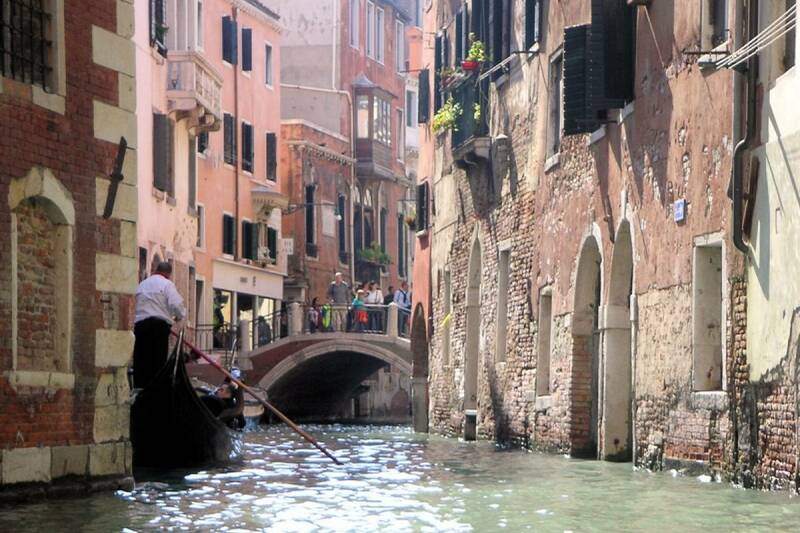 Then, experience a very different Venice! Far from the crowds to see Venice at its best being entertained by the commentary of your expert guide as you releive the days of the Venetian Republic. During the tour you will also see the beautiful San Zacharias Church (exterior only) with its rich facade and blend of a gothic and renaissance style. The tour will finish in St.Mark's Square at around 16:00. A romantic and relaxing afternoon walking tour. Outdoors visit with a local guide of the area between St. Mark's Square and the Rialto Bridge. 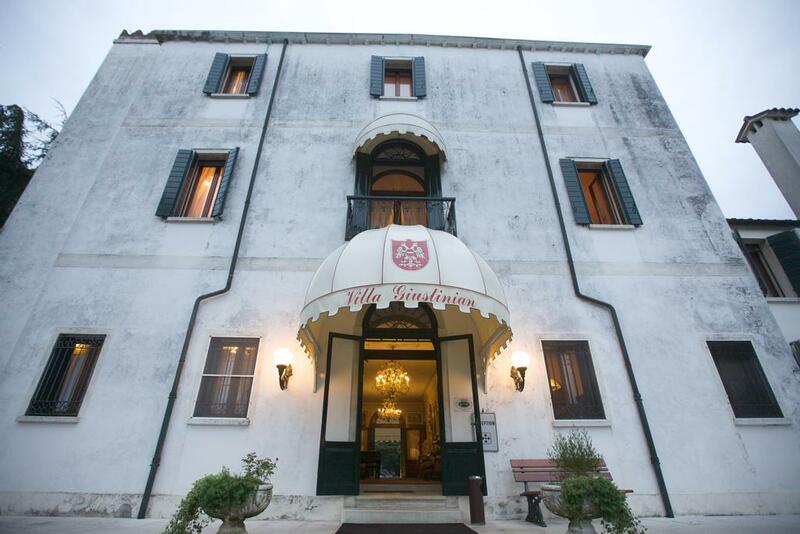 This tour will ba passing by some special places like La Fenice Theatre, Scala del Bovolo and Rialto Bridge. 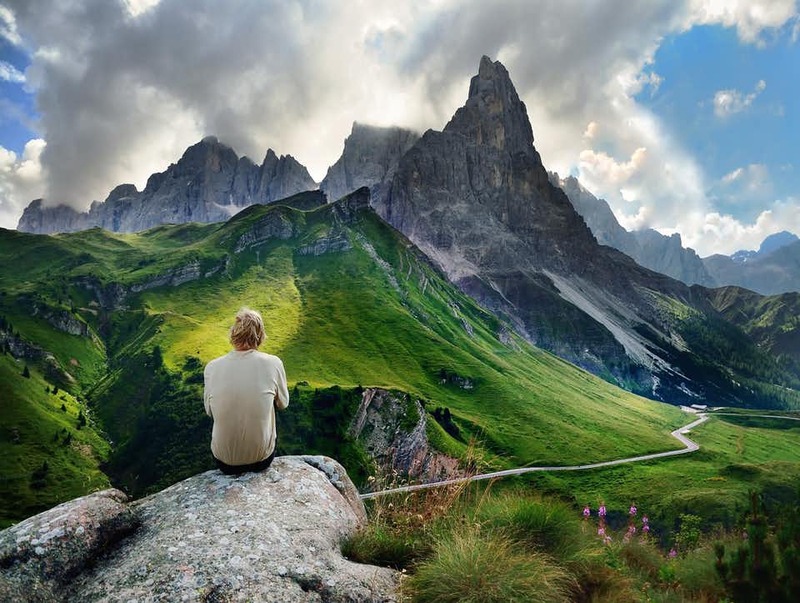 Visit some of the most beautiful scenery that the Dolomites has to offer. Our day will start with a stop at the town where Titian was born. 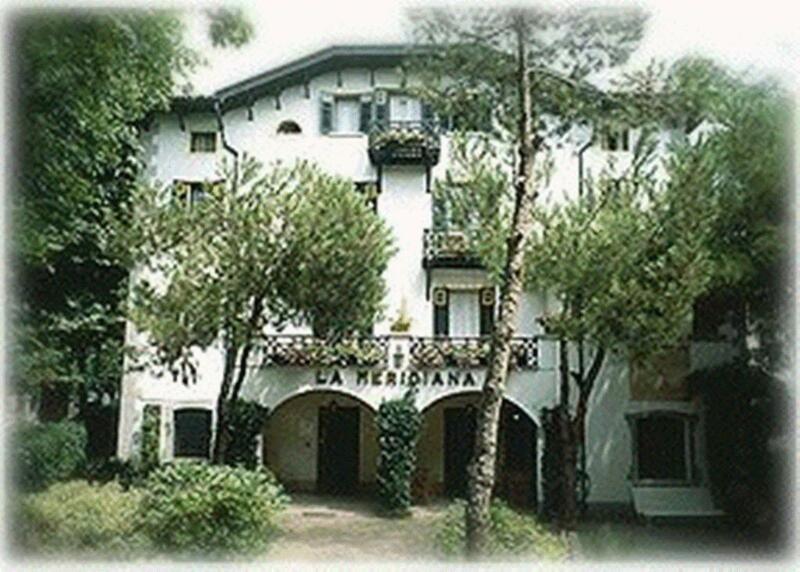 In this enchanting mountain village we will discover the history and legends of the people of the mountains, and their unique culture. On our way to the Tre Cime di Lavaredo, we will make a stop at Lake Misurina where you enjoy some free time for a walk around this beautiful lake overshadowed by the towering peaks of the Dolomites. Throughout the day your guide will stop at spectacular view points that will guarantee an up close and personal impression of the Dolomites. In the Tre Cime di Lavaredo, at an altitude of 7500 ft, you will enjoy a spectacular view across a myriad of peaks and mountain ranges as far as the eye can see. 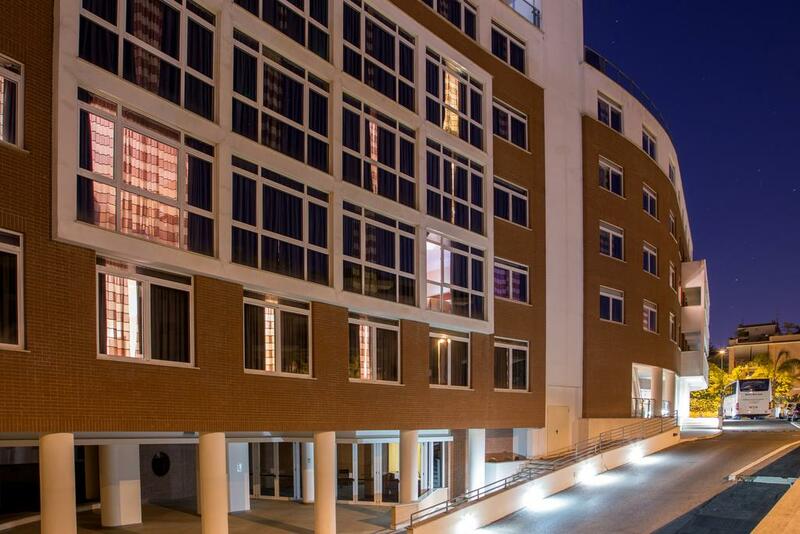 Enjoy a walk around a specially laid out pedestrian path on easy and flat terrain. 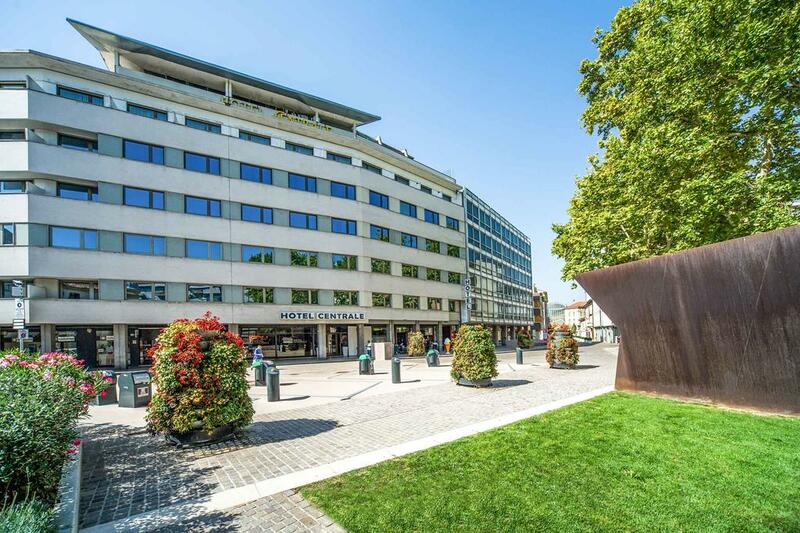 After an optional lunch in a typical restaurant, we will visit the famous resort of Cortina where you will have some free time to wander around this lovely and famous mountain town before returning to Venice. Explore Florence by hop-on hop-off on your own. 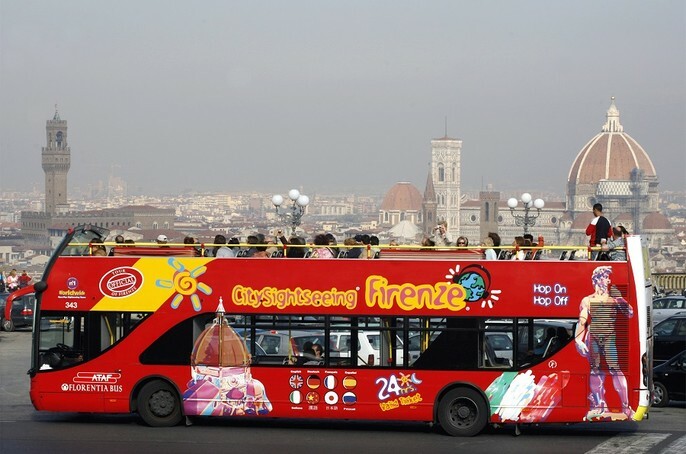 There is no better way to see Florence than on this hop-on and hop-off double-decker bus. Stops along the tour route include the Cathedral, Santa Croce, San Marco, Piazzale Michelangelo and much, much more! Hop-on and off as many times as you like for a full day of sightseeing! Enter the Accademia Gallery museum with a fast track priority entrance ticket and discover the original Michelangelo's masterpiece that has become the symbol of Renaissance splendour, The David. Admire it from every perspective, gaze in awe at David, that dominates the central gallery of the museum. 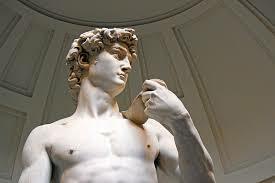 The David was sculpted by a very young Michelangelo (in his twenties) entirely from a single block of local Carrara marble and it's 5.17 metres tall (17 ft). It represents the biblical hero David that killed Goliath and when it was unveiled, in 1504, it soon came to symbolize the defense of the civil liberties embodied in the Florentine Republic. Admire also Michelangelo's famously unfinished sculptures , Prigioni and San Matteo. 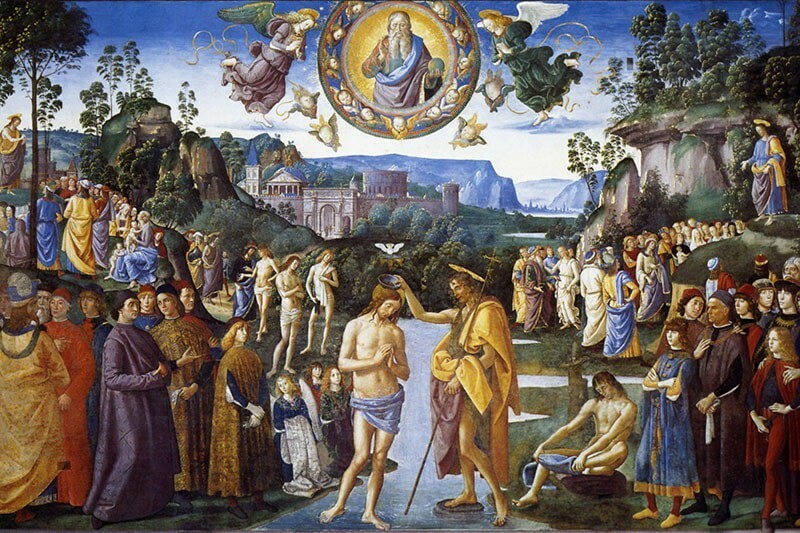 The Accademia Gallery houses also many other masterpieces, both paintings and sculptures, from the Middle Ages to Renaissance, by the greatest artists, like Botticelli, Paolo Uccello, Andrea del Sarto and many more, which you will discover with your knowledgeable English Speaking guide. In afternoon go for Ancient Rome Walking tour. Take a walk through Rome's 2,000 years of history with an expert guide who'll bring the past alive. You'll have a hands-on history lesson at key ancient sites including the Colosseum, Forum and Pantheon on this fascinating half-day tour. The entertaining and informative three-hour walking tours are often led by skilled archaeologists, who can help unlock Rome's many secrets. Perfect for first-time visitors, this guided walking tour is the ideal introduction to Rome's famous sights, leaving you with time in the day free to explore the city at your leisure. The afternoon walking tour (held in the morning on Sundays) visits Rome's best known ancient sights, including the Colosseum, Roman Forum, Capitoline Hill, Trevi Fountain, Pantheon, and Piazza Navona. Several major sites are covered in a short period of time, and you'll receive enlightening insights into the city's millennia of history as you stroll. While your local guide is trained to educate you in history, politics and architecture, they will also make the daily life and times of ancient Rome come to life with enthusiasm and humor. In three hours you'll relive life in ancient Rome as a gladiator, emperor, slave, Vestal Virgin, senator, merchant and goddess! 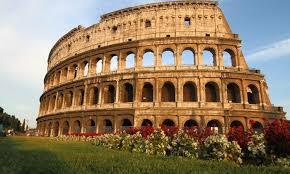 The tour includes inside visits of the Colosseum and Roman Forum. 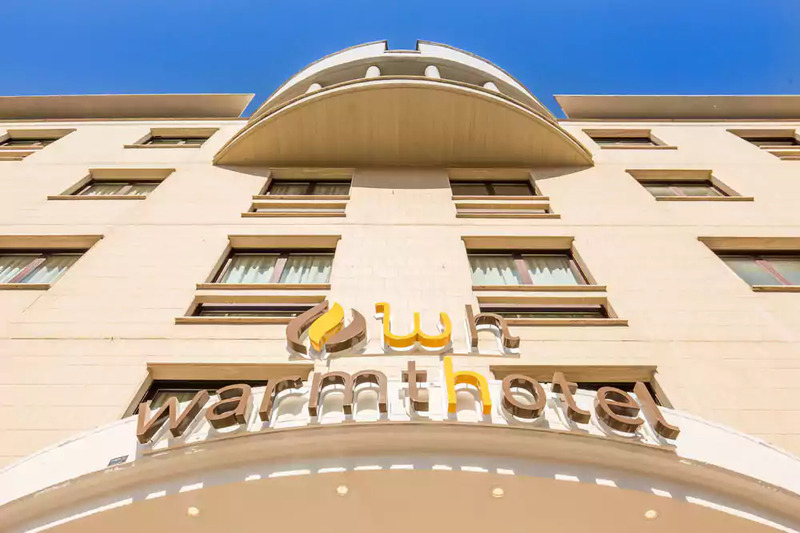 However, the entrance fee is NOT included in the tour price, so a supplement of approximately 15 euros per person will be payable direct on the day of travel. 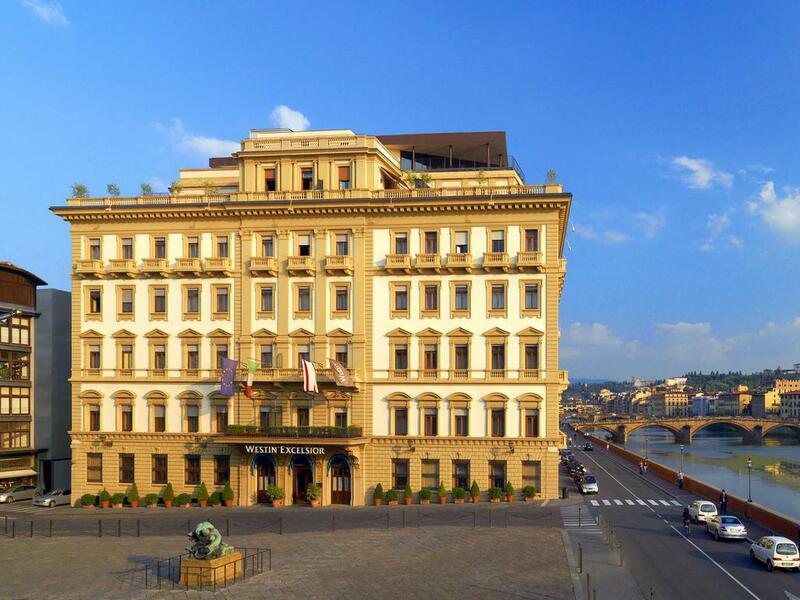 Going from the ancient monuments to the elegant shopping streets, from the Baroque squares to Renaissance palaces, from the Churches housing art masterpieces to beautiful fountains. An itinerary which touches on the main attractions of Rome, without omitting working-class alleys, small hidden squares, places that are less known but associated with many historical events which give this city its unique atmosphere. We unveil the hidden gems and treasures belonging to heart of the eternal city making its unique cultural wealth sough by the masses. 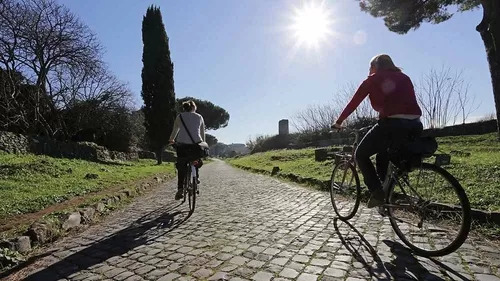 Pedaling on a 2300 year old Roman cobblestone road, while going past an ancient sepulcher, a roman statue, the ruins of a circus and an imperial palace. Leaving the "regina viarum" heading towards the ancient Roman aqueducts that rise over the fields into the horizon and following them on their way to Rome. Going through the Caffarella park, a preserved strip of land of the Roman countryside that so well impressed the 19th century travelers such as Byron, Goethe and Stendhal. An extraordinary tour of absolute beauty. A journey into a unique environment, containing miraculously intact nature, free from modernizations, forming a backdrop to the continuous passage of historical, cultural and artistic events. Leaving Rome in a northerly direction, driving along the Tiber Valley, we reach Orivieto a small town of Etruscan origins where we stop to admire the magnificent 14th century cathedral, a masterpiece of gothic architecture. 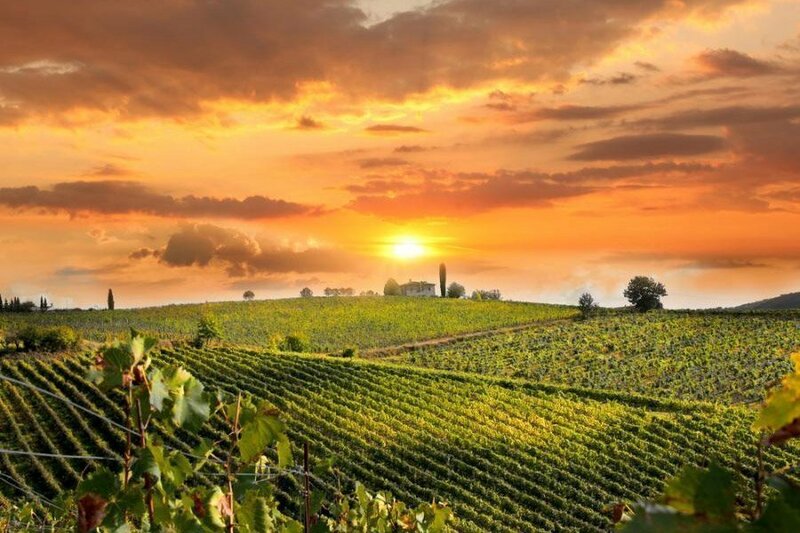 The tour continues through the green Tuscan Hills covered in olive groves and vineyards. 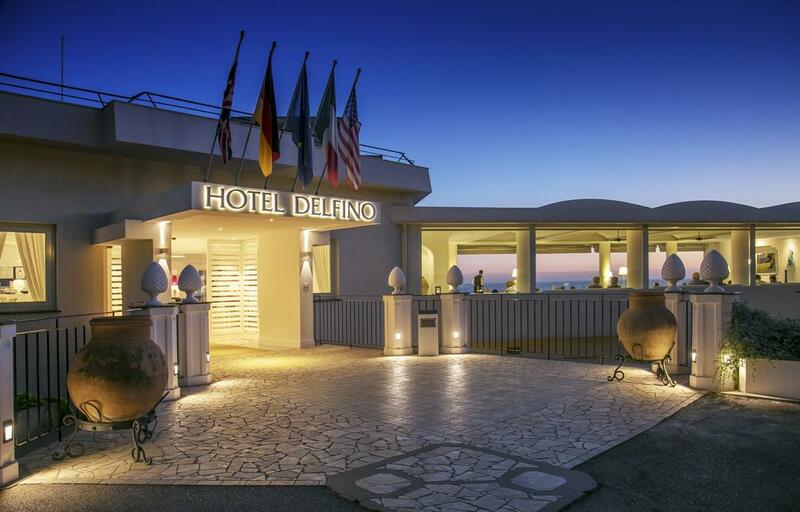 This is the land of some of Italy's best known D.O.C. 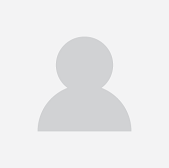 (quality controlled) wines, which include Orvieto, Chianti and Brunello di Montalcino. Lunch too will be of traditional local dishes. In the early afternoon, having driven along the shores of Lake Trasimeno, we reach Assisi, built at the foot of Mount Subasio. 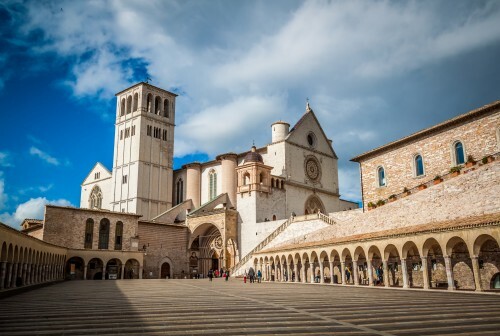 Here, during a guided stroll through the lanes of this historic town, you will see the Church of St. Claire, St. Francis' birthplace, his childhood home, Town hall Square with its People's Palace, Roman Temple dedicated to Minerva and of course the Town hall itself. Visit St. Francis' Basilica, close to the ancient city walls, with its magnificent frescoes painted between the 12th and 14th centuries. Leaving Assisi, we stop at the town of Santa Maria degli Angeli named after its church inside which, in the Chapel of Porziuncola, St. Francis died in 1226. 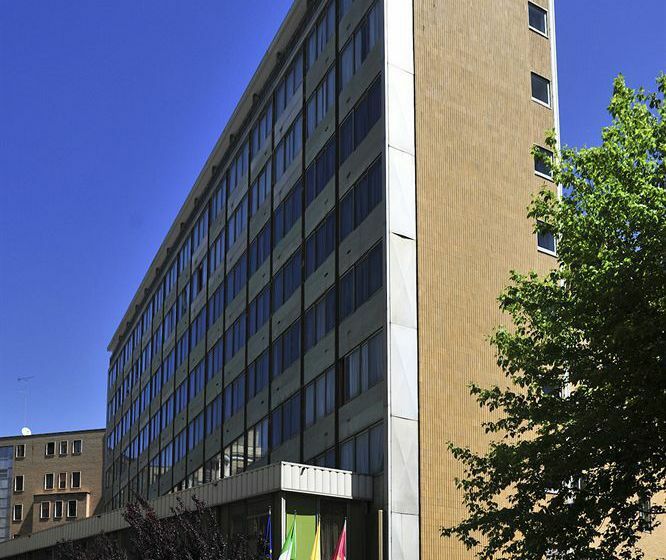 Reaching Rome you will be left in the vicinity of your hotel. Airport to hotel transfer. Checkin at Hotel. Rest of the day at leisure. Overnight in Venice. Breakfast at the hotel. 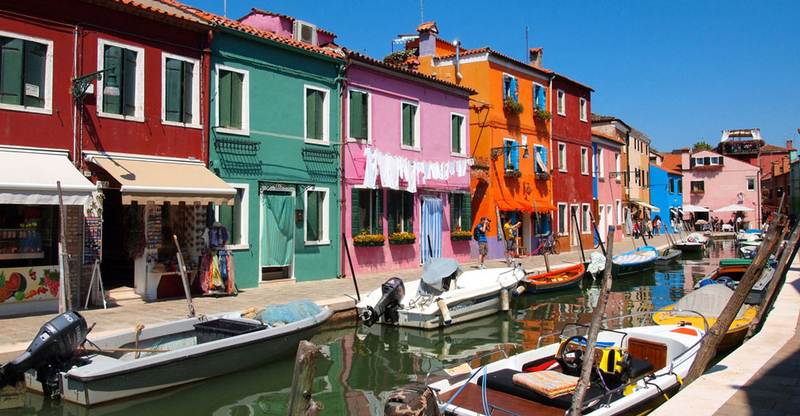 Go for Murano, Burano and Torcello sightseeing tour. Explore the famous islands of the Venice lagoon - Murano, Burano and Torcello - on a half-day excursion. You'll see a glass-blowing display on Murano, shop for lace on Burano and visit Venice's first church on the tranquil island of Torcello. 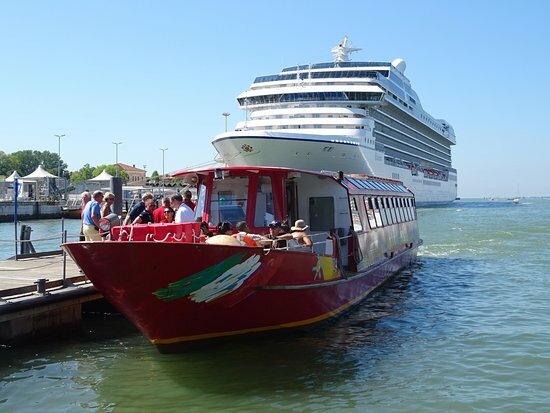 This morning or afternoon tour is a great introduction to the magical islands of the Venetian lagoon. Boarding a comfortable motor boat, you'll speed along the Venetian lagoon to Murano, famous for its glassware. During the visit you'll explore shops, factories and watch the skilled glass-blowers as they create works of art. 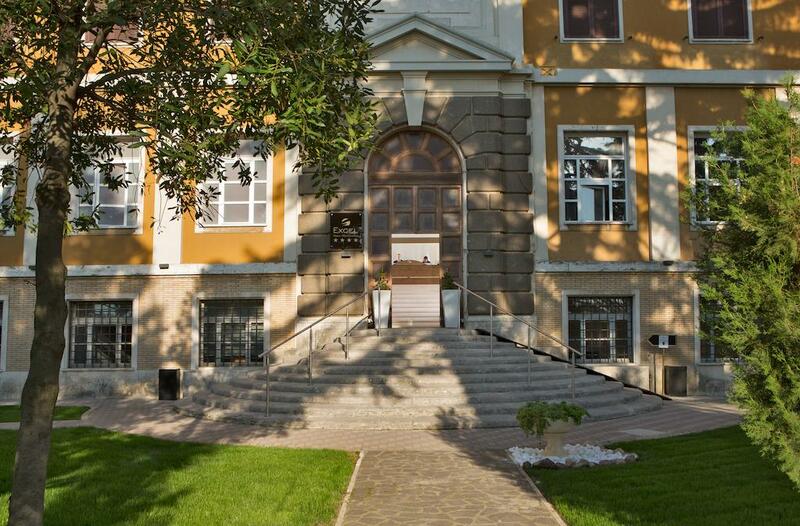 You'll also have time to visit a museum showcasing the world-famous Murano glass. Re-board your motor boat you'll journey to the island of Burano to admire picturesque fishermen's houses painted in bright pastel colors, and, of course, the famous lace. You can visit a museum dedicated to the craft of lace, and purchase the beautiful lace at local shops. The last island stop is Torcello, the earliest center of civilization in the Venetian lagoon. You'll see the cathedral of Santa Maria Assunta, founded in the 7th century, and the excavated remains of the circular baptistery in the church of Santa Fosca. Overnight in Venice. Breakfast at the hotel. Checkout From Venice to Station for Florence. 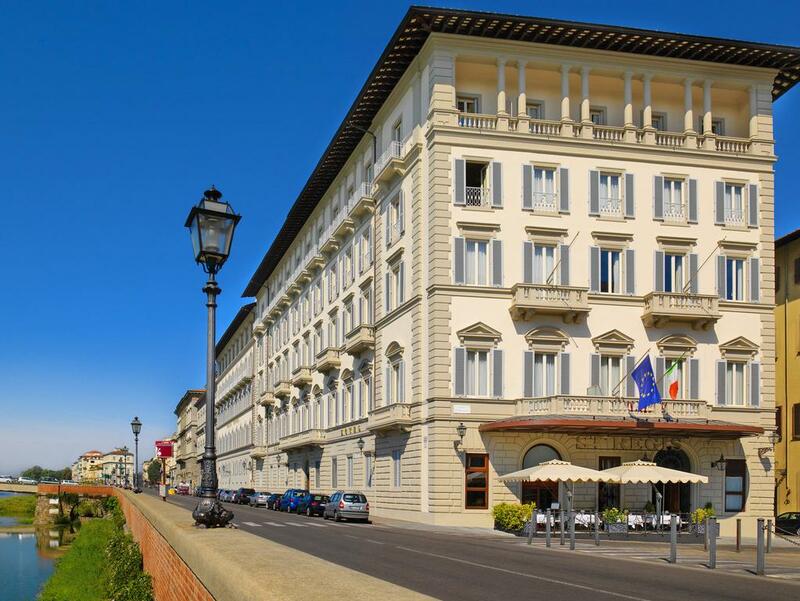 On arrival Checkin at Florence Hotel.Rest of the Day at leisure on your own.Overnight at Florence. Breakfast at hotel. 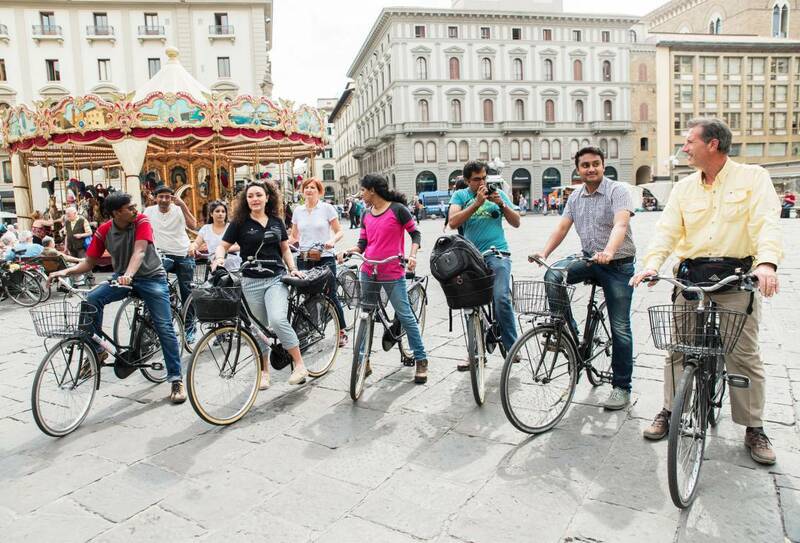 Explore Florence by hop-on hop-off on your own. 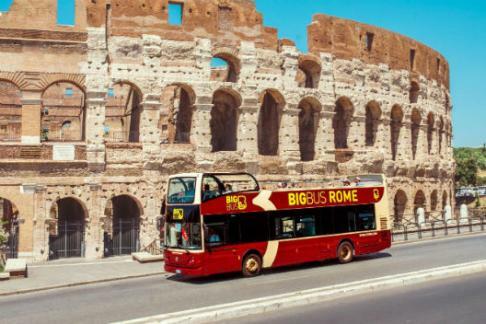 There is no better way to see Florence than on this hop-on and hop-off double-decker bus. Stops along the tour route include the Cathedral, Santa Croce, San Marco, Piazzale Michelangelo and much, much more! Hop-on and off as many times as you like for a full day of sightseeing! 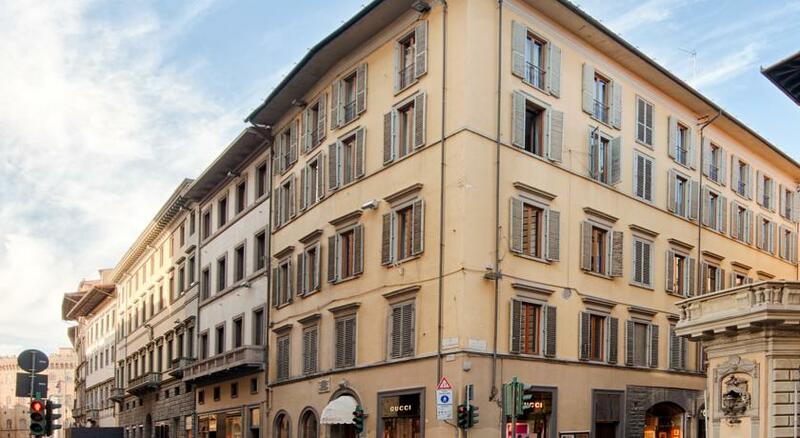 In the romantic region of Tuscany lies the jewel city of the Renaissance, Florence. 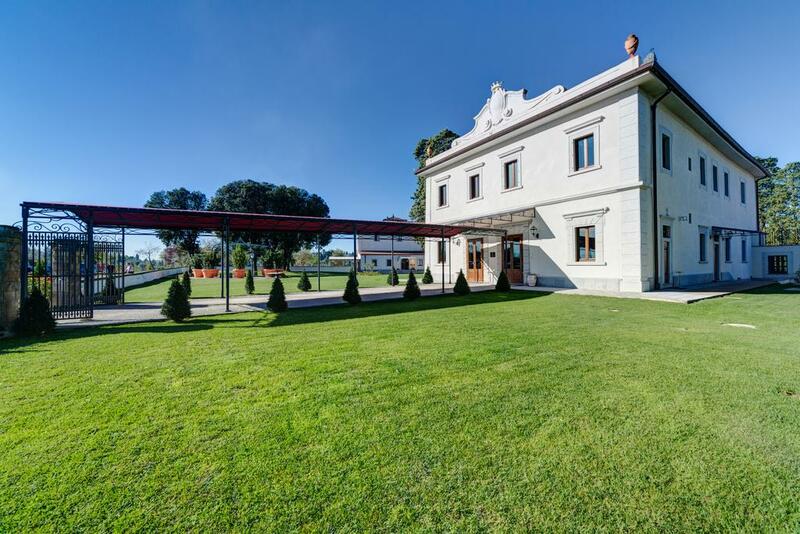 Surrounded by the Appenine mountain chain it lies in a fertile valley surrounded by the charming Tuscan vineyards and olive groves. The art galleries and museums of Florence are renowned throughout the world and holiday makers flock to admire the superb David of Michaelangelo, the Venus of Botticelli or the stunning Duomo with its marble facade.The city is not only culture however, it is also home to elegant boutique, tiny craft shops and tempting ice cream parlors with gelato served in every flavor under the sun. You can hop-on and off as many times as you like aboard this open-top double-decker bus. 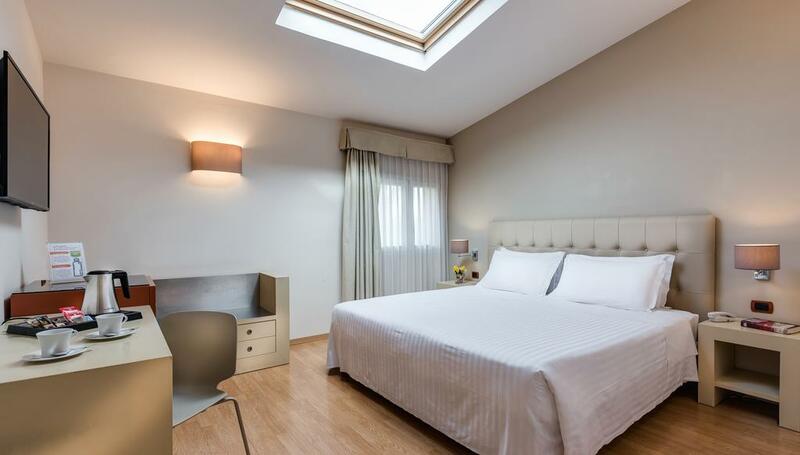 Two routes are included in the price and your ticket is valid for 48 hours. Breakfast at the hotel. 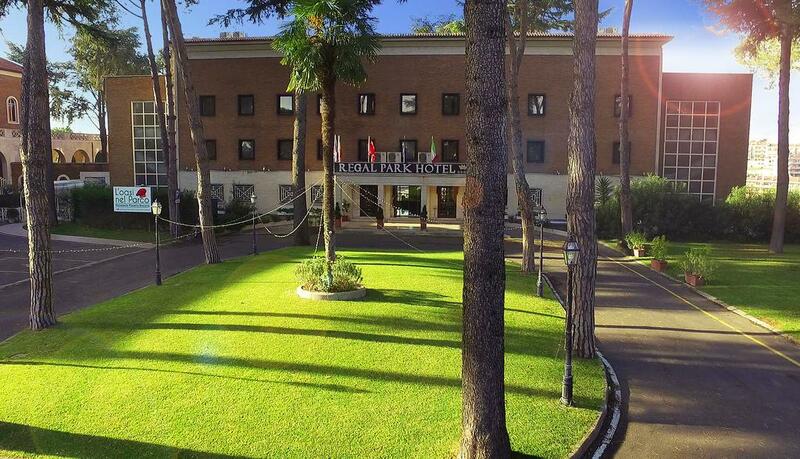 Checkout from Hotel to Station for Rome.Checkin at Rome Hotel.Rest of the day at leisure on your own. Overnight at Rome. Breakfast at hotel. In afternoon go for Ancient Rome Walking tour. Take a walk through Rome's 2,000 years of history with an expert guide who'll bring the past alive. You'll have a hands-on history lesson at key ancient sites including the Colosseum, Forum and Pantheon on this fascinating half-day tour. The entertaining and informative three-hour walking tours are often led by skilled archaeologists, who can help unlock Rome's many secrets. Perfect for first-time visitors, this guided walking tour is the ideal introduction to Rome's famous sights, leaving you with time in the day free to explore the city at your leisure. 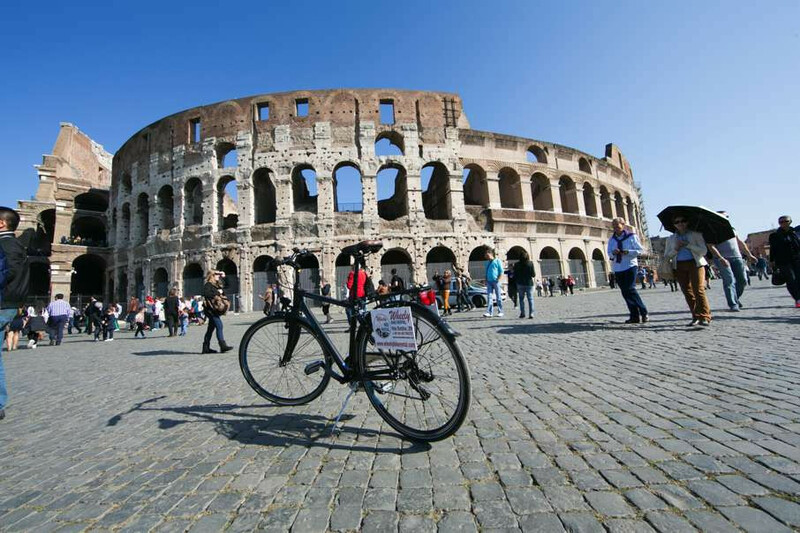 The afternoon walking tour (held in the morning on Sundays) visits Rome's best known ancient sights, including the Colosseum, Roman Forum, Capitoline Hill, Trevi Fountain, Pantheon, and Piazza Navona. Several major sites are covered in a short period of time, and you'll receive enlightening insights into the city's millennia of history as you stroll. Breakfast at hotel. Transfer for your airport to return home.